Upcoming at ASTC: Using Science to Help Design Exhibits: insights from scientific research. For this session, each participant was asked to select an article to discuss focused on the science of design. Chuck's will look at the ways different lighting - from fluorescents to daylighting - have been shown to influence people's actions and decisions. I will post a link to his paper after the conference. This is a concrete example of how specific, identifiable design decisions can affect the resulting user experience. And there is quite a lot of literature documenting the importance of discrete aspects of our environment on our behavior: The affect of color on mood , the importance of a middle distance to rest the gaze while listening to complex information , and how literally getting a new perspective (through a mirror or a balcony) can lead to new understandings. All of these studies make the case that design matters. We are convinced design is that much more important in an environment intentionally designed to support learning - like a museum. And there are a number of technical publications from places like NAEYC and others that translate what we know about the qualities of light, space, materials, views, scale, smell, etc. into design for children. Anita Rui Olds wrote extensively about therapeutic environments, and others have focused on preschools and playgrounds. When it comes to the big picture the discussion becomes more theoretical, interdisciplinary, and, frankly, harder. To really get at the issues you might look at urban planning, public art, environmental psychology, art education, environmental education, and public policy, just to name a few disciplines that think about this. Reggio refers to “the environment as the third teacher” which I think is a very nice way of making something so complex into an easy-to-understand nugget. The big idea, or thread, linking all of this together is that our environment, generally, provides affordances that stimulate certain behaviors. Since behavior - asking questions, taking risks, experimenting, engaging, contributing, collaborating, reading, etc - is the basis for learning, museums need to be thoughtful about creating environments that will stimulate "learning behaviors". In preparing for the conference session we rounded up some of our favorite writing on the subject of the role of design in learning environments. We are also interested in what you all read on the subject. Do you have a go-to work on the importance of design that you would recommend to your peers? From Cartwheels to Caterpillars: Children's Need to Move Indoors and Out, Anita Rui Olds. Anita Olds was at the lab school at Tufts and moved to Menlo Park later in her life. She worked on formal ed environments and children's hospitals. As an environmental psychologist she understood the way design can support learning, healing, healthy development, and promote certain desirable behaviors as well as attitudes. Playing in the Gutters: Enhancing Children's Cognitive and Social Play, Sue A. Dinwiddie. Former head of the Bing Nursery School at Stanford. This particular article focuses on how a simple addition to a play area - gutters to sandbox - can completely change the children's learning and exploration behaviors. Kids don't need equiment, they need opportunity, by Ellen Ruppel Shell. This is published in the Smithsonian from 1994. Its about the need to give kids environments they can change. First page, 3rd paragraph: "Ideally, a child's play space should never be finished, it should be in a constant state of change." Those are words to live by in a museum! Spaces for Children: The Built Environment and Child Development, ed Carol Simon Weinstein and Thomas G David. Chapter 2 in The Development of Place Identity in the Child, Harold Proshansky and Abbe K. Fabian. These guys are from City University in NY. They are interested in how kids derive meaning from their physical environment. And their references are great. Designing for Play: Beautiful Spaces Are Playful Places, Anita Rui Olds. This is more specifically about healing environments so it stakes out her position on children's hospital design and how it can be tuned to support children's healing. The Built Environment and Children's Health, Susan Kay Cummins, Senior Health Policy Advisor, National Center for Environmental Health, CDC. This is about policy and how high level decisions about public space impact children's tragectories over the long term. Growing by Design: The 1990 International Design Conference in Aspen, A Notebook, Jane Clark Chermayeff. Published in Children's Environments Quarterly. This is a report on a conference and because Jane is a museum person she is able to talk about how the issues apply specifically to the work we all do. Children's Friendship with Place: A Conceptual Inquiry. Sudeshna Chatterjee. In this paper Chatterjee tries to unpack what contributes to the current of emotional good feeling when children become attached to a place. This has always seemed very appropriate to museum work, and with the interest in Boston Stories - which are all about how kids form memories of museums - and John Falk's work on the role of emotion for learning in museums, I think even more this is a useful theory. What If. . . Re-Imagining Learning Spaces, Futurelab. This paper lays out a concept for what educational facilities need to be able to do, and then starts to suggest what they might look like. A staffed program cart is a great way for museums to create unique and memorable experiences for visitors. An energetic staff person is what will make the experience but the cart plays a key supporting role for the staff and activity. 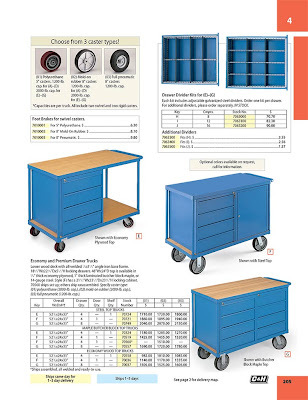 There are 3 basic approaches to the design of a cart : custom, modified, and off the shelf. When thinking about a new cart it is useful to look at these 3 approaches up front to evaluate which will best meet the needs of your museum. A custom cart is the only solution when you have specific height requirements or if the cart will be used for a unique activity that requires specific infrastructure. That might be the case for an outdoor exhibit, or woodworking, both of which require durable materials. 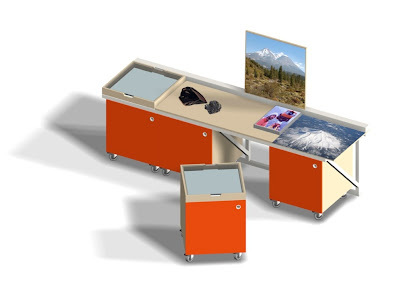 Custom carts can be designed to tie into the aesthetic of the gallery in which case the activities that take place on it can feel like an integrated part of the museum experience. That is a plus. The main challenge with custom carts comes in the cost. 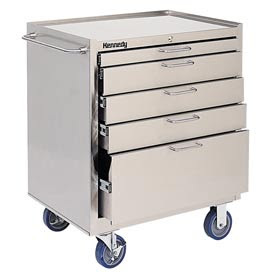 Because these carts often involve institutional grade hardware, are ordered in small quantities, and have to be extremely durable, they can be expensive. And because the carts themselves are fairly small, that cost can be prohibitive. This is one of our designs. 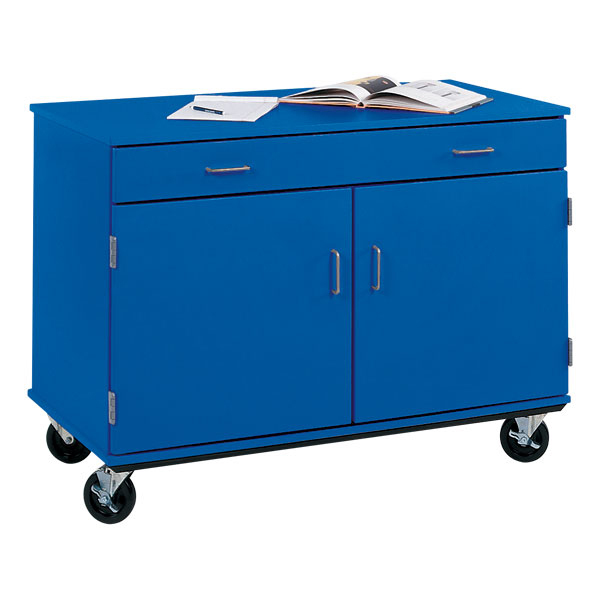 Here a custom cart is part of a larger system that includes a counter top and docking station. This movable cart is designed to work in a very specific environment - a library in Rancho Cucamonga - and to be self-directed rather than require staff. So it is not a demonstration cart but a movable activity station that allows the organization to fine tune the amount of interactivity available at any given time. It can also go outside. A modified cart is a good alternative when you can find a basic cart framework that meets your needs and then add to it to make it unique. We used this approach for the Big Lab at the California Science Center. We choose an industrial cart from C & H Distributors that came in a good color and added infill panels, a fold out work surface and photo studio type attachments to create a shade canopy. Cart in use at CSC. Often there are only very basic requirements for the cart. 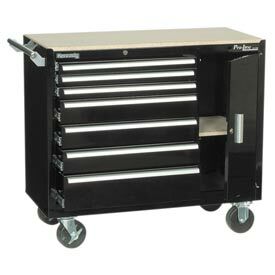 This one needed to have locking storage, to roll, and have the right work height surface. When this is the case an off the shelf solution will usually offer the best value. When is a climber more than just a place to climb? Climbing structures, particularly vertical ones, are iconic elements of many children’s museums. And for good reason. They look cool – rising high above the ground floor, inviting exploration. They are mostly designed for kids to use independently, allowing them to take the lead and direct the activity. They are safe, but they feel edgy and support children pushing their limits and finding the courage to take risks. They offer a clear sense of mastery and, with clear destinations built into them, they and encourage adults to recognize and celebrate their children’s accomplishments. And of course they are developmentally appropriate, supporting sensorimotor learning, which is ideal for most children’s museum visitors. All of this may be why climbers are so commonly found in children’s museums. They are an excellent fit for the audience and they engage visitors in many appropriate layers of experience. But beyond the obvious reasons to have a climber, when a new facility opens and a museum is thinking about creating whole-body, safe-danger, self-directed playful learning experiences the question of what exactly you design, and where it goes, is not so clear-cut. There are, in fact, many options and no one single best solution. But the design of a climber does directly inform the visitor experience and by extension the types of outcomes we will see. One of the biggest issues is where to put it. Many climbers are located in double height entry spaces, adjacent to the main stair. There are great practical reasons for this not the least of which are that the interior height already exists! Filling it with a tall interesting element is a natural. A stair can often provide structural support for a climber, which is cost effective. This adjacency allows adults to follow their children up as they climb. Providing a way for adults to participate is a not just a “nice to have” but at the heart of many children’s museum missions. However, many such climbers have a single entry and exit at the bottom – kids go up and then down again. There are good reasons for this not the least of which is that allowing kids to escape out the top makes adults anxious. Apparently, the Pittsburgh Children's Museum built an exit at the top of theirs but has it permanently closed. But leaving aside the cross currents inside the climber itself, the trade off for adults is that they have to go up and then down on the stairs in parallel, quite possibly with a stroller and siblings in tow. It can be done differently of course. One example is the City Museum where the stair IS the climber - sculptural, exciting, fun. Another is at the Children's Museum at Holyoke where there is an indoor Luckey climber in a corner. That one has many entry and exit points, many routes through – horizontal as well as vertical – and some platforms clearly designed for adults to go in with their kids. What both of these projects achieve is a deeper level of engagement in the process of moving through the building. The experience of climbing from one level to another is also about navigating. Another example of this is the climber at Port Discovery, which really lets kids take responsibility for finding their way and in the process, builds a sense of ownership and belonging – a mental map that includes the user. In each of these, real choice points mean kids are making real decisions. They are solving problems – yes the physical challenge of getting themselves up and down but also including complex wayfinding, navigating branching logic trees, remembering multiple steps in a process, sequencing and patterning. Whether next to a stair or not, there is nothing to say a climber has to look a certain way. The Madison Children’s Museum just opened a new idiosyncratic climber "Hodgepodge Mahal" made out of reclaimed elements. The visual appeal of this is important, but in addition it supports a wide range of gross motor activity and some activities that are not so much physical but more contemplative or imaginative. Its pretty magical to imagine climbing through the Madison structure and reaching a pod just the right size to squeeze inside and from which I could look out and down at the world from a new perspective. In fact, Anita Rui Olds describes climbing as just one of a whole range of possible movements. Others on her list include: Swaying, Crawling, Bending, Turning, Rolling, Balancing, Rocking, Hanging, Bouncing, Grasping, and Jumping. Climbers are often pretty narrowly focused on a few types of movement. It is probably not going to work to mix jumping with vertical climbing, for instance. And there is no reason to try and compress all types of activity into a single structure. But climbers are physically front-and-center, we think of them as iconic, and we spend a lot for them so it is fair to have high expectations. Climbers can go outside. It may require extra staffing, security during closed hours, and the materials have to stand up to the weather. But one advantage of that is the noise and activity level associated with the climber move outside also. Providence Children's Museum opened an outdoor climber just this summer. Outside, the whole idea of a climber can be different. The height of an interior climber is often partly driven by the link to the stair and by the need to be vertical in a tight space with little room for horizontal motion. Outside it is no longer about moving from one floor to another in a creative way so there is no need to think of it necessarily as tall. Just for fun, both of these projects are about climbing up into the trees but that common theme only underscores how different outdoor climbers can be given different starting points, goals, and reasons for being. Because the function of a climbing structure outside is different it can focus on different goals such as getting kids to solve complex creative problems, encouraging adult participation (rather than passive viewing), and enjoying physical activity as a family. A goal of adult participation may be a reason to move away from a multi-story climber. Indoors adults can follow their children along the stairway, but outdoors that may not be as important, or desirable. So that suggests a differently shaped climbing experience. Outside it could also more easily have more than one entry/exit point. The shape could be stretched out so that there was more horizontal movement and more interior room for cross-traffic. And it might have a destination that was meant to be shared with your adults rather than a single-person “crow’s nest” style top. But it also suggests that it may not need to be a climber – and could be something else that supports physical whole-body movement. As with any other exhibit experience, what the “climber” IS should be driven by the goals for that component and consideration of what best meets those goals. It may seem like a climber should automatically be on the list of exhibits, and that it is just a matter of shopping for the exact model. But in fact, whether inside or outside the visitor experience goals and institutional goals may call for something that looks different or performs differently from examples the team has been referring to. Because the design of a “climber” supports very specific behaviors, it also supports very specific outcomes. Backing up from the strong image of a vertical climber set in the entry adjacent to the main stair may be a difficult shift - but it may also be an opportunity. Many museums host residency programs as a means of connecting the public with working local artist, scientist, and crafts people and also as a tool for breathing life into their collections. For example, a collection of stained glass is animated through the presence of an artist creating or repairing a window in the gallery and causes visitors to view the collection in new ways. Residency programs have the potential of myriad positive rewards. Successful residencies can link the museum to artisan populations and have the potential of grounding collections and displays within working professionals and hobbyists in the community. Creating a residency program also involves careful planning, including the process of developing program goals, developing the selection process for residents, monitoring process against goals, and thinking carefully about the components of the resident contract, including their interaction with the public. In general, residency programs involve a professional (artist, scientist, writer, etc.) spending time in the galleries and being accessible to the public, running a number of public programs, explaining their craft, and frequently working with the public on a piece that will remain in the Museum’s collection. It is important that the resident have a dedicated place to work and that there is something (beyond putting the residency on their resume/CV) of benefit to both the resident and the institution. The Victoria and Albert offers a rich residency program that we find particularly interesting as some residents work on the exhibit floor in public studios, which provides a public interface between the artist and visitor. In effect, the resident becomes an exhibit themselves and their work becomes a dynamic changing component on the exhibition floor. In order to learn more, we’ve conducted a question and answer session with Juliette Fritsch, Head of Gallery Interpretation, Evaluation and Residencies, about what it takes to conduct one of these programs and what the costs and benefits are. Q: What types of residencies do you have? A: The residencies are selection of artists, designers and makers who work across a range of disciplines, for example jewellery, graphic art, ceramics, architecture. The Residents are usually mid-career although we do have a Ceramics strand which is specifically for newly-emerging makers, and we have also welcomed Residents who are well established and respected in their own fields if not widely. Q: How many residents to you have per year? A: Up to 6. Q: What is required of the residents? A: They are asked to spend 6 months at the V&A where they can research the collections for inspiration and skills development, of this they spend about 25 days working as an artist educator with the V&;A's visitors through innovative events and activities and a rolling programme of open studios. Q: What does the Museum provide? A: A studio for 6 months, digital resources, training, mentoring, a budget for equipment and materials, access to curators and the collections, access the Museums resources and behind the scenes, such as the stores, free entry to UK museums and galleries and special exhibitions, access to the wider museum resources including workshops and the National Art Library. Specialist support from our Learning department in developing skills working with particular audiences. Q: What has been your biggest success story? It's very difficult to identify specific successes as the programme is new and you can only really start seeing the clear outcomes of the residencies about a year later. One of our first Residents, Jo Lawrence (digital media) went on to make a short animation inspired by her time here in 2008, which was short listed for the Short Film category of the British Animation Awards 2010. Q: What are the biggest challenges? A: Managing the expectations of the artists who are used to working very freely. The museum is a very large public organisation with many processes and formalities in place. Artists often find this challenging and frustrating. On the flip side, the artists find the wealth of opportunity exciting and inspiring, and sometimes difficult to choose from all the avenues of adventure they could follow during their time here. Q: What advice would you give a colleague who is thinking about starting a residency program? A: Go for it - the outcomes and the experience is fantastic for everyone involved. Plan ahead for administrative purposes and try to make things happen for creative outputs. Flexibility is key. Q: In your opinion, what are the biggest benefits of having a residency program? A: - Connecting with the Creative Industries / contemporary artists and designers. - Inspiring visitors to work with artists and to better understand the creative process. - Seeing artists make a great success of their time on and after the programme. - Working closely with curatorial departments. - Seeing how the collections might be used for research in a wide variety of ways. Q: How has the program benefited the organization and helped to achieve overall organizational goals? A: - Working with artists and designer / the creative industries. - Making the process of creative thinking more transparent. - Establishing a network of high quality artist educators for learning programmes. - Supporting creative learning through design. - Inspiring visitors through innovative events and activities working directly with the artist.